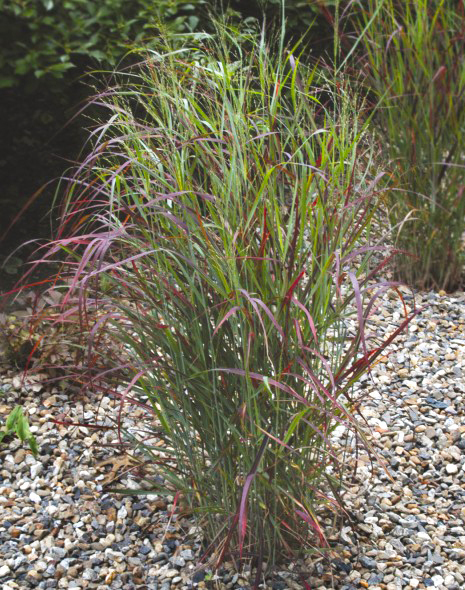 'Ruby Ribbons' Really Shines | Faddegon's Nursery, Inc.
Last month I was raving to our Perennial Nursery Manager, Sue Platania, about one of my favorite ornamental grasses, Panicum Shenandoah. She kindly told me in her own wonderful way to get with the times The improved cultivar, ‘Ruby Ribbons’ had much better burgundy coloring in the fall. Last month I was raving to our Perennial Nursery Manager, Sue Platania, about one of my favorite ornamental grasses, Panicum ‘Shenandoah’. She kindly told me in her own wonderful way to ‘get with the times’. The improved cultivar, ‘Ruby Ribbons’ had much better burgundy coloring in the fall. I responded to myself “Harumph! Prove it”. ‘Shenandoah’ has been the long standing top gun for many grass enthusiasts. Well, I’m here to eat my words. 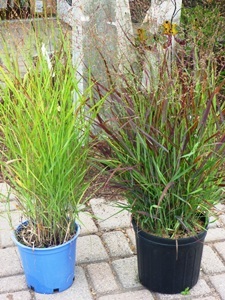 I’ll let the photo I just took of the two grasses, side by side, speak for itself. Chomp, chomp, chomp.